Education Consultant Lisa Hirsh-Wax gives some tips on reading with your preschool child aged 3-5 years old that will instill a love of reading. 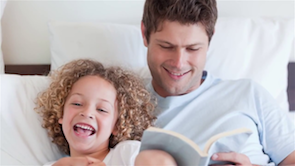 Choose a time each day that you read with your small child consistently. Lisa suggests some books and authors that 3-5 year olds will love.